I think the in-game vehicles are complete now, but there are more vehicles in the introduction! The problem is the intro is lagging on my PC, and I don´t want to take (lower quality) youtube-screenshots. 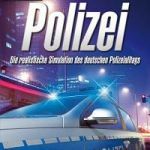 Played that game some time ago - I like the idea of it (being a german police officer) but they messed up with the realisation of the game. The physics of game are horrible - just look for some videos on YouTube. You can arrest any person you want without any suspicion against them. If I remember correctly, every car in the city is stolen or involved in a crime which means a manhunt on every car (is "manhunt" the right word here?). But that's not surprising in a city with only two patrolling officers. Who wouldn't do anything criminal in such a situation? Otherwise there were a lot to do - in the beginning. But the things are the same after a time and then it get's boring. Is there any vehicle missing (apart from the intro ones)? Is it possible to get a unmarked police car later? If you still have this game maybe you can help add what is missing. That includes the intro cars. I think there's a white BMW (just like the marked police cruiser), but unfortunately I only borrowed the game and removed it from my computer some weeks ago. Known as "Police Force" in the UK.